This cool graphic pack is a vector collage of aerial elements. Clouds, lightning bolts, planes and more in a cartoon style. 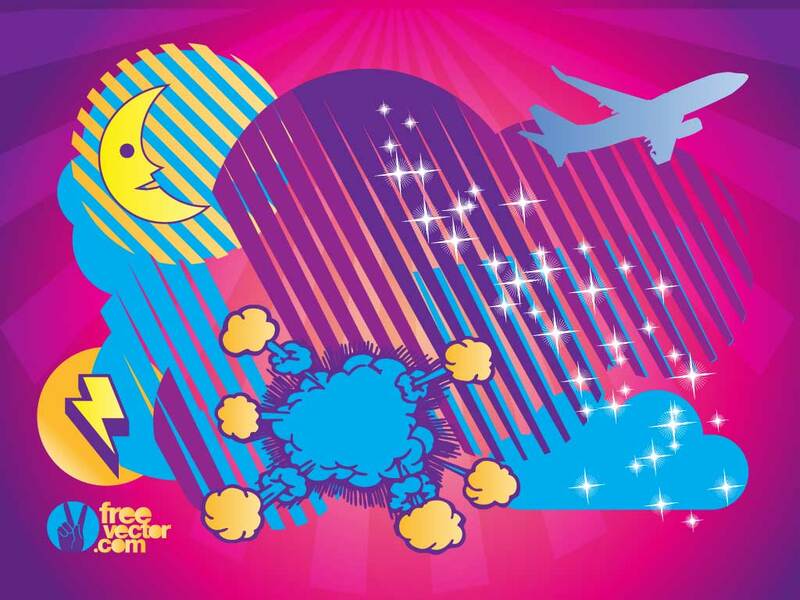 Tags: Airplane, Clip Art, Clouds, Lightning, Moon, Sky, Storm, Wind.